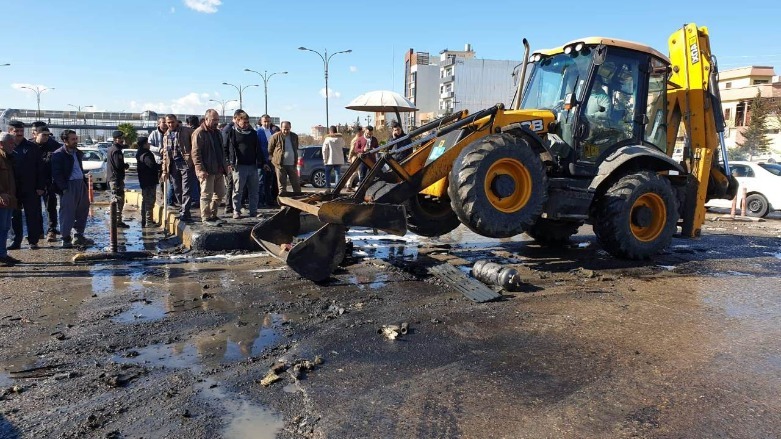 Eight people were injured on Sunday in the Kurdistan Region when road-paving equipment blew up as it was being used for construction work on one of Sulaimani’s main roads. “While an asphalt vehicle of Sulaimani’s municipality was operating, its compressor exploded,” Sulaimani Civil Defense Director Brig. Gen. Diyar Ibrahim said in a statement. The incident occurred while a road work crew was filling potholes located on Malik Mahmoud Road near the city’s Baghdad Terminal. Shortly after, a civil defense team arrived to secure the site and promptly controlled the resulting fire. The official did not elaborate further but the circumstances of the incident suggest that a technical failure in the mechanical device, such as overheating, caused the blast. “Seven municipal workers and a traffic officer were injured,” Ibrahim added. The wounds were not serious, the official said, adding that six of them had been discharged from the hospital after treatment and the remaining two were expected to be sent home later in the day. Qamishlo: after one day of arresting Mahmoud Mla by Alasayesh. They released him.